Production is getting back on track for MBC’s Goddess of Fire Jung-yi, which had halted filming for several days when lead actress Moon Geun-young was injured on set on the 18th and subsequently missed its airdates this week. In place of new episodes, the show aired special broadcasts on the 23rd and 24th. The crew resumed filming (with Moon Geun-young) on September 25, and plans to air its next episode as scheduled next Monday. That is a good thing, because the show, which never had a strong foothold in the Monday-Tuesday ratings race to begin with, plummeted in the numbers with the two filler broadcasts. The drama had premiered in July with a 10.7% rating, reached a high of 12% in its second week, but has been declining since then, resting in the 7% to 8% range. Monday’s special dropped the drama down to 4.8%, and Tuesday’s numbers sank further to 4%. On the other stations, KBS ruled with its feel-good medical drama Good Doctor, which broke 20% this week (Tuesday’s episode took in a 21.5% rating), while SBS’s new drama Suspicious Housekeeper was able to claim second place with 8.1%. Goddess of Fire Jung-yi will resume with Episode 25 next week, on September 30. It has eight more episodes left, and its finale will now be pushed back a week to late October. it thought mbc will cut GOF episode. i think its better to save the cost to another potential drama. so yeh's drama will get benefits from this news. with GD has reach 20% rating, for sure the public will stay with kbs channel after GD finished. I'm happy Moon Geun0young is better and able to continue to film. I hope they can get their ratings back, but I doubt it. don't care. found new interest in Suspicious Housekeeper. It is pure candy! agree .. was totally hooked with the first 2 eps of suspicous housekeeper. was laughing so hard at the antincs though i can only understand very limited korean..
and the kids esp. Kim So Hyun are AWESOME.. I've been meaning to watch it but couldn't find the time amidst all the studying. What are people's opinion on it? I was very intrigued with the premise. you know what is weird? last week on Open Thread I raised the subject of funeral traditions and paying respect to the dead, and here we go, Suspicious Housekeeper starts with a funeral, and in the original Japanese drama there was a buddhist altar and placing food in front of the picture of the mother and everything. bowing etc. and burning the stuff is like the cremation of the spirit or something. sorry for talking another show on Goddess of Fire thread, just that I was considering what to watch and the lot fell on this one. 'Suspicious Housekeeper' Episode 1 was hilarious, although I haven't figured out why, yet. It is just so STRANGE to watch Choi Ji-woo play a character who might be . . . a crazy . . . or a robot . . . that isn't . . . quite . . . a robot. Even stranger is that Choi Ji-woo also appears to be doing a really great impersonation of Uhm Tae-Woong. When she is wearing her baseball cap, she is a dead ringer for his cop character in 'Chaw', and her acting just by flicking her eyes is like Uhm Tae-Woong doing 'The Blade and Petal.' Which, admittedly, featured a lot of robotic acting, thanks to a pretentious director. anybody saw SUSPICIOUS HOUSEKEEPER ep 1 and 2 yesterday?? haha,,seems like I posted my comment at the same time with u,,so i didn't see it.. I'm looking forward to episode 25. Been waiting a long time for the Japanese to invade, cant't wait to see our Bummie become a warrior. Hope KB & MGY have a happy ending. Me too. Good to see someone else watching and enjoying this show. It has its share of problems--uneven acting, some slow episodes--but the good outweigh the bad. And by good I mean Kwanghae-gun's dimples. I'm liking it, too - but seriously, how many more times can she get booted out of the Pottery Barn (Bunwoon :-) )?! And poor Bummie! Do you think he knew that the majority of his scenes were going to be filmed in the darkness filled with his twirling fighting kicks? And sneaking. Lots and lots of sneaking. At least his hair looks mighty fine. Have to admit my total favorite is the Traitor Giraffe as the elder Prince. He just makes me laugh with every scene, mostly because he always looks like he's trying not to bust out laughing. For me it was coffee, triggered by "Potter Barn." Ah ha ha ha ha! It's getting pretty interesting in the romance department. I'm super curious as to how they'll shape up the SO-YS line. Btw, has anyone seen Rihanna's twitter pic with GD on her TV? Coincidence or not? I think she just happened to take a picture with GD being played in the background on her trip to thailand. Im actually surprised Good Doctor is popular enough to already be airing in thailand. I can't imagine rihanna of all people watching k-dramas. Actually, Good Doctor is airing on cable in Singapore already. With that beyond horrible script, what ratings are they attempting to recover? Terrible script. Jung Yi's character is so darn flat, I have never seen a feeble character like her and it so frustrating. All she does is cry and cry some more. Do they really have to emphasize how fragile she can be? Tae Do, on the other hand, is nothing but a foolish man who follows Jung Yi around. Is there anything else he can do aside from protecting a seemingly user-friendly Jung Yi, who does not even reciprocate his feelings for her? No wonder this drama is a cellar dweller. RESPECT KIM TAE DO!! He is way more than just a man who follows Jung Yi. Tae Do is handsome, loyal, kind hearted, protective, and good at martial arts. Kim Bum is the only reason why some people are even putting up with this boring drama. ‘Suspicious Housekeeper’ Episode 1 was hilarious, although I haven’t figured out why, yet. It is just so STRANGE to watch Choi Ji-woo play a character who might be . . . a crazy . . . or a robot . . . that isn’t . . . quite . . . a robot. Even stranger is that Choi Ji-woo also appears to be doing a really great impersonation of Uhm Tae-Woong. When she is wearing her baseball cap, she is a dead ringer for his cop character in ‘Chaw’, and her acting just by flicking her eyes is like Uhm Tae-Woong doing the same thing in ‘The Blade and Petal.’ Which, admittedly, featured a lot of robotic acting, thanks to a pretentious director. 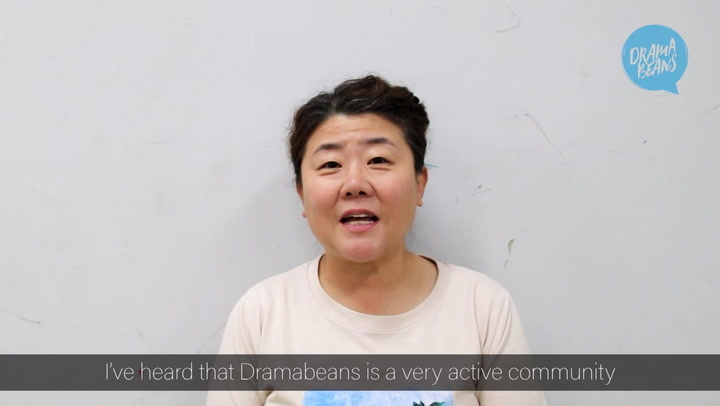 However, this morning after reading the update I had flashbacks to King of Dramas and had the thought maybe this was a chance for the writers to get their act more together. Though I don't think MGY would have her injury exaggerated just for the writers...or would she? Whichever I'm really glad to hear MGY is well enough to be back at work and that filming has been resumed. I'm glad she wasn't seriously injured. It's too bad her drama is doing so poorly. I didn't realize that this drama was doing so badly, ratingswise. My mom and I enjoy watching this drama every week. Hope she gets better soon! I enjoy watching it too, although I think it doesn't need to be very long. I find lee sang yon and moon geun young cute. I'm just curious of how it will end because, history says that they did not ended up together. King Gwanghae was married to a certain Lady Ryu in real life. I find Kim Bum boring. He has one facial expression even the other lady (Hwae Reong). But I still enjoy watching it because of the leading characters. I do hope that Lee Sang Yon and Moon Geun Young will have another project. How could you say that about Kim Bum? Throughout this drama, he DOES show different facial expressions. He looks worried and smiles when he's with Jung Yi. He's angry and frustrated around her enemies. I feel bad that Korean actresses get criticized more harshly than the actors. 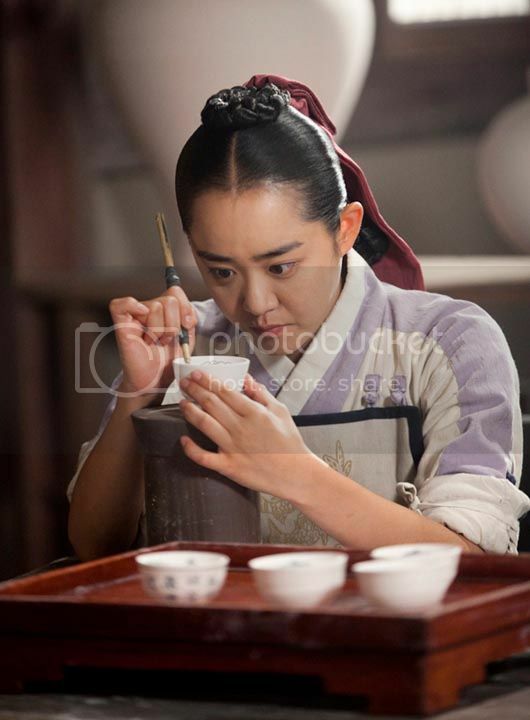 For GOF, moon geun young is getting a lot of hate and criticism. People said her acting in this drama is not good. They think she is not fit to play her character and they don't like the way she looks. On the other hand, people said that Kim Bum is handsome and hot. His character is endearing. People are cutting him slack bcuz they said for his first saeguk drama, his acting is pretty good. I agree. Even though kim bum has no prior experience with saeguk, he's doing a pretty good job with his acting. Remember that saeguk dramas have a higher level of difficulty than contemporary dramas. Besides, his character Tae Do is reticent. He keeps his internal conflicts to himself and does not easily reveal them. I agree with you. I'm also enjoying this drama although there are some episodes that could have been cut short and just merge it to the other episodes without really affecting the storyline in order to make it less tedious and boring to watch. I really particularly like MGY and now becoming a fan of Kim Bum, too because of this drama. They do look good together. Hope they can make a romantic-comedy series after this show. It would be interesting to see Kim Bum not doing a serious role and playing sweet music with MGY, I'm sure it would be a great hit! korean version of the japanese kasifu no miata. hopefully will be amazing as the jap version and different from it. jap version was simply wowwwww. For MGY's dramas and movies til now, she got chemistry with Kim Bum and she got chemistry with Jang geun suk. However, she don't have any chemistry with her other male costars.